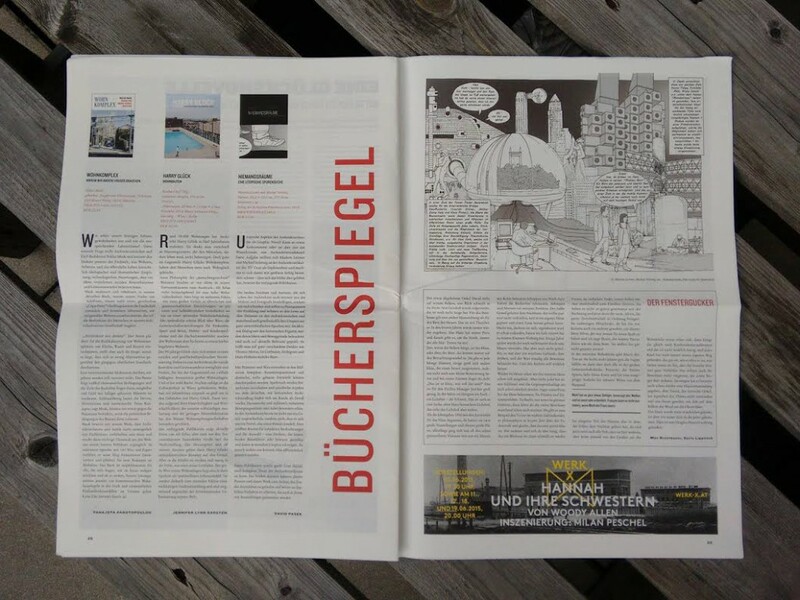 Full page report on studio ASYNCHROME in the Kronen Zeitung issue of 9th August 2018.
studio ASYNCHROME @ radio AGORA 105,5. 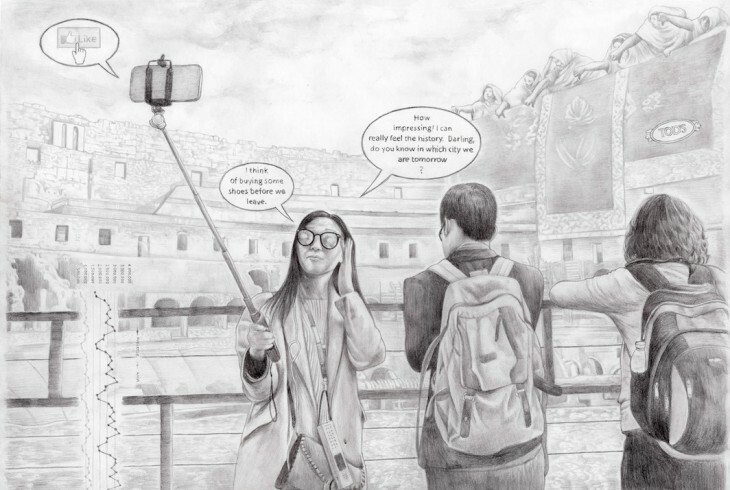 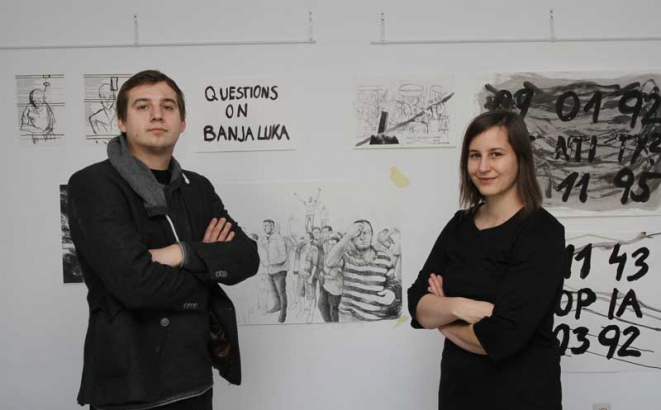 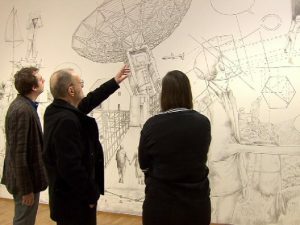 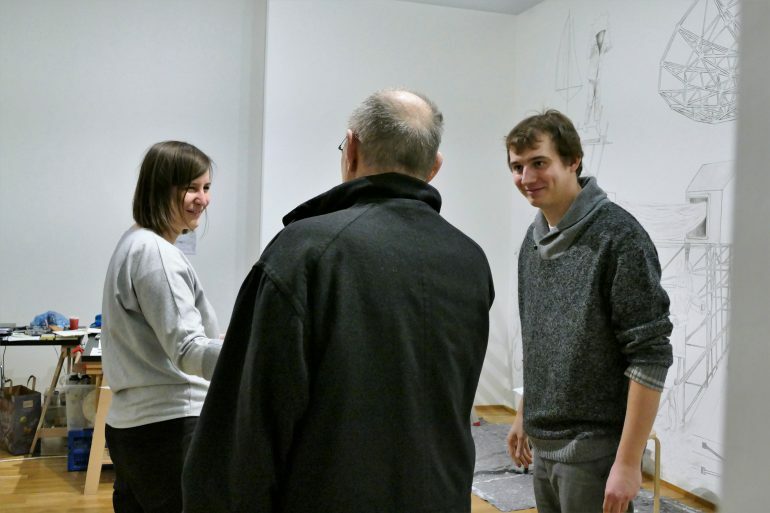 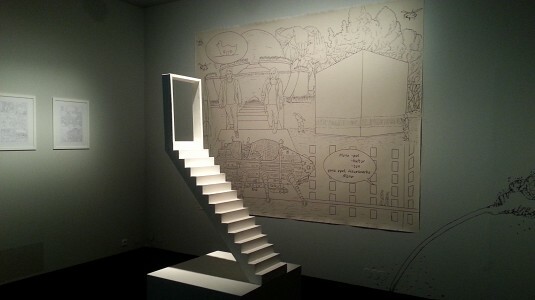 Check out the interview about the exhibition „Path´s to EU-topia“ in the Pavelhouse. 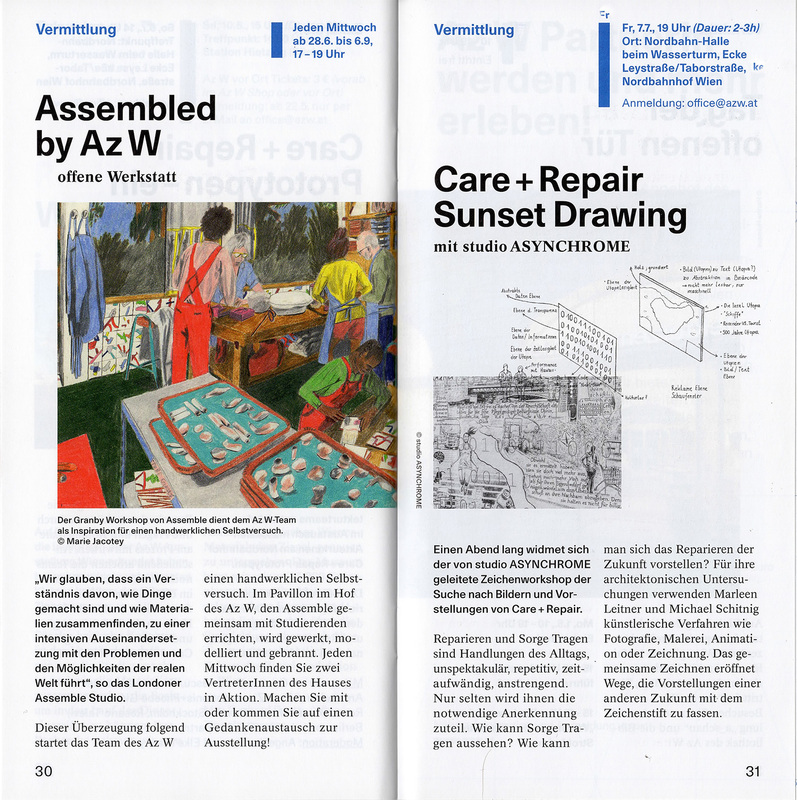 On the occasion of „Care + Repair“ by the AzW at the Vienna Biennale, studio ASYNCHROME is responsible for the „Drawing in Residence“ and the workshop „Sunset Drawing“ as part of theVienna Biennale at the Nordbahnhof site. 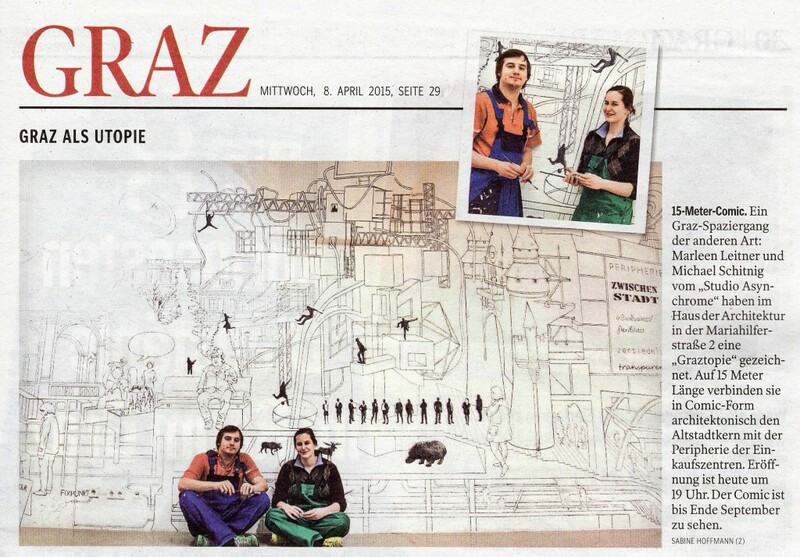 Articles about „Paths´s to EU-topia“ in Brussels have been published in the newspapers! 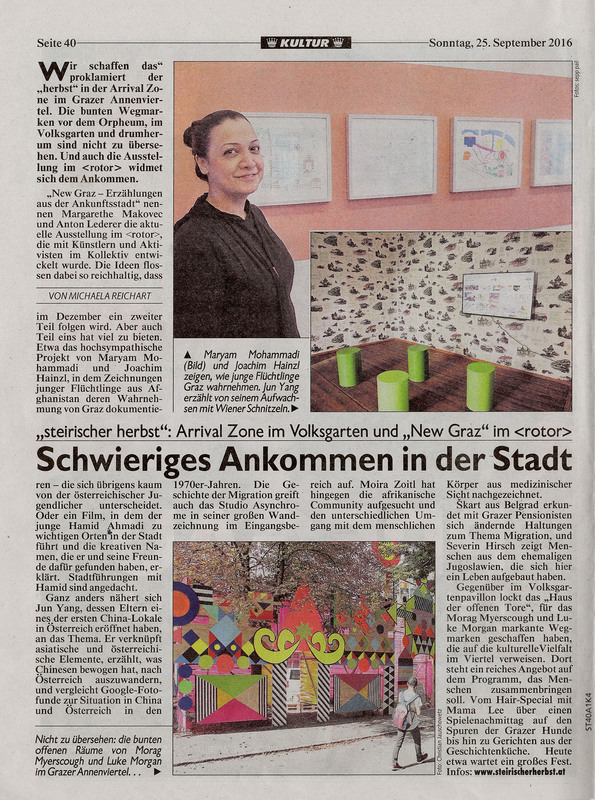 studio ASYNCHROME´s project „Path´s to EU-topia“ in Brussels have been published in the Kronen Zeitung and the Kleine Zeitung newspapers. 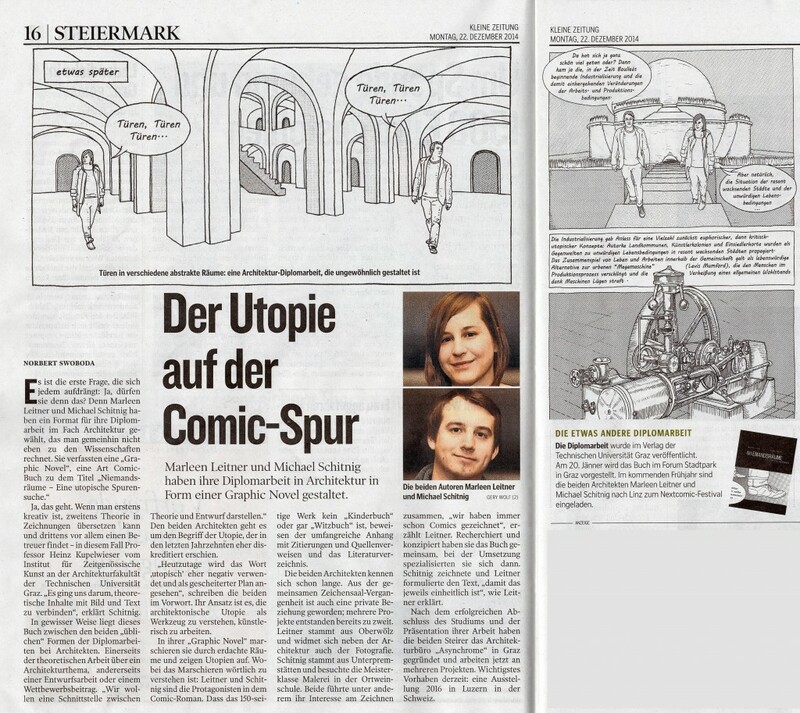 The Arrival City Is (Not) a Machine – in the Newspaper! 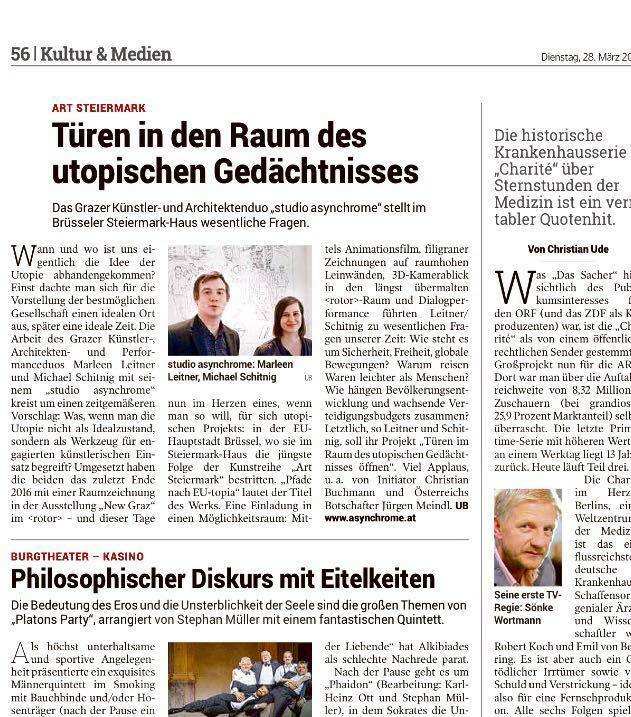 studio ASYNCHROME’s CMRK / steirischer herbst exhibition contribution at <rotor> center for Contemporary Art has been published in the Kleine Zeitung, 19.12.2016. 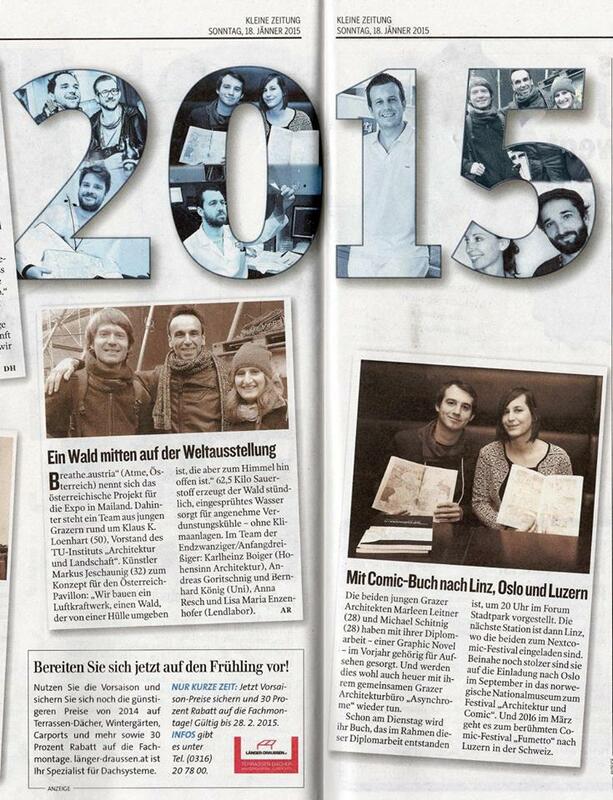 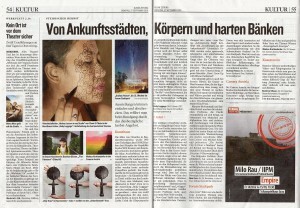 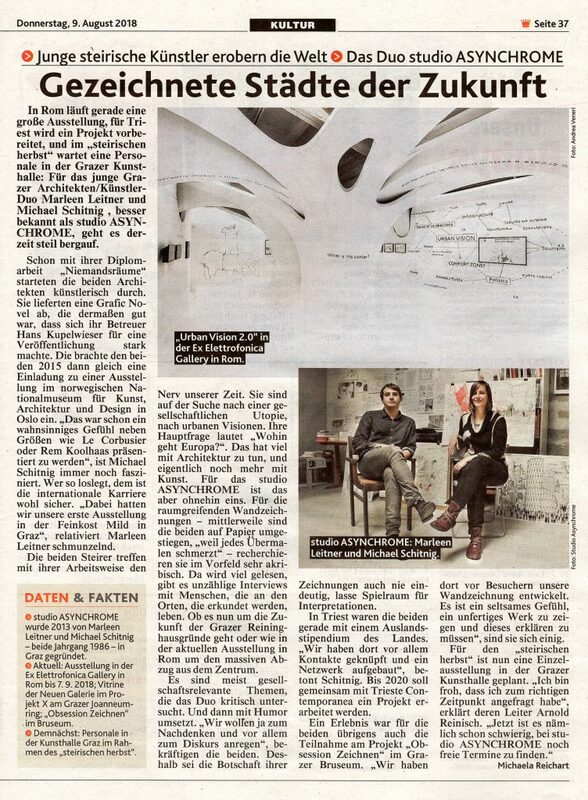 The Arrival City Is (Not) a Machine – in der Kleinen Zeitung! 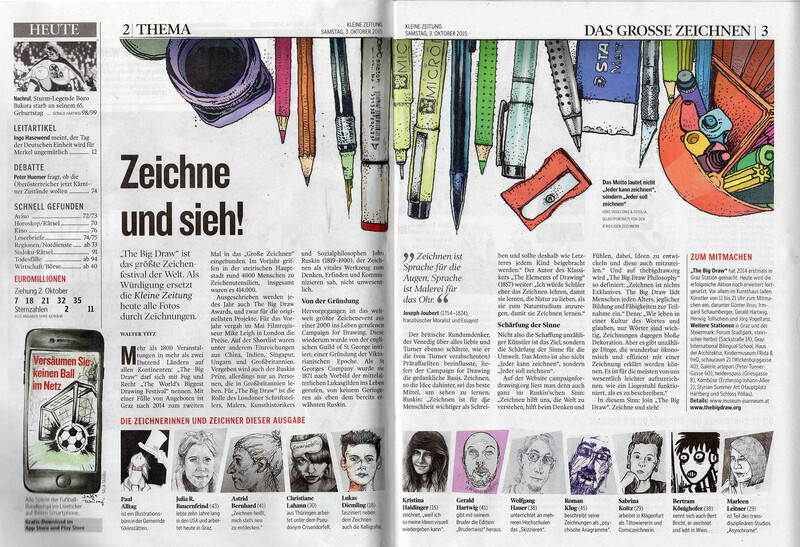 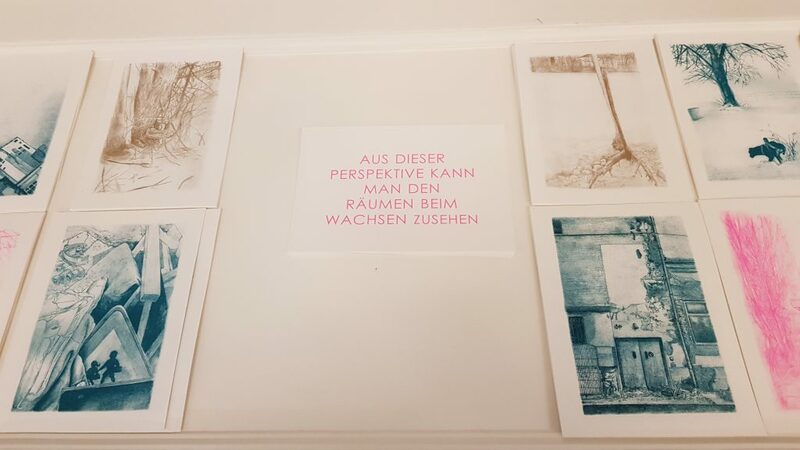 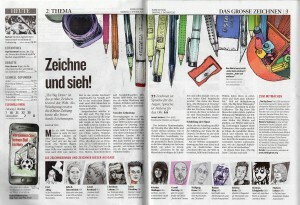 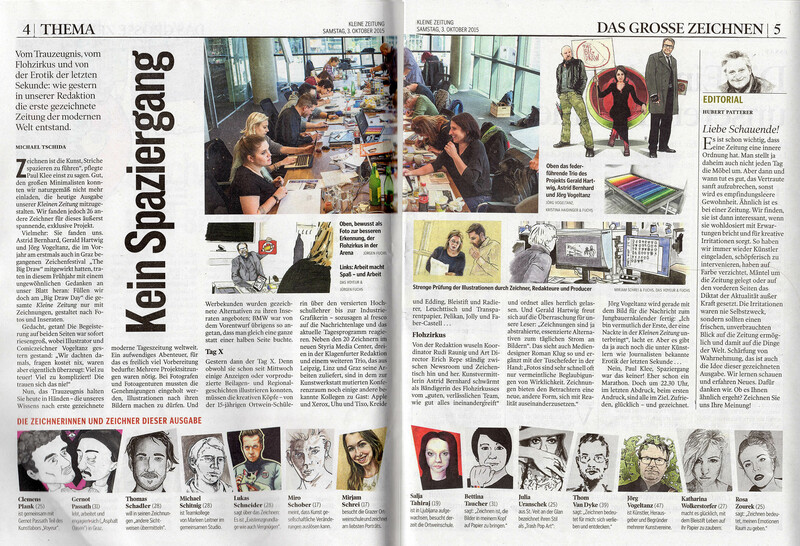 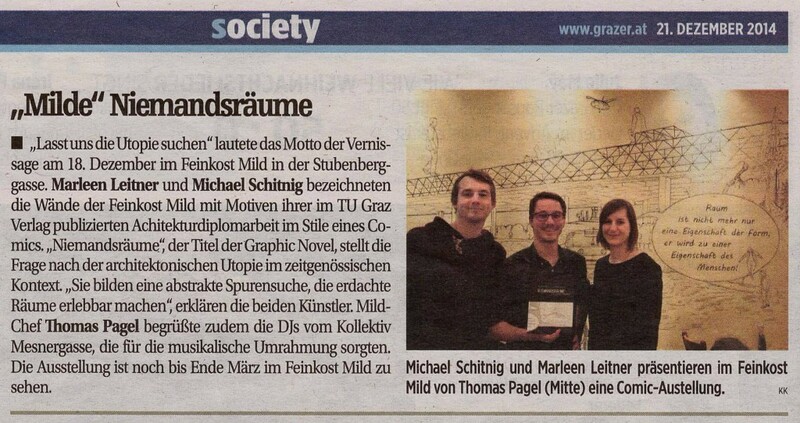 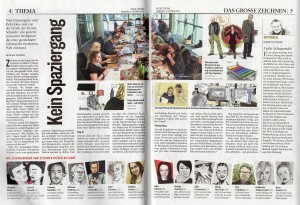 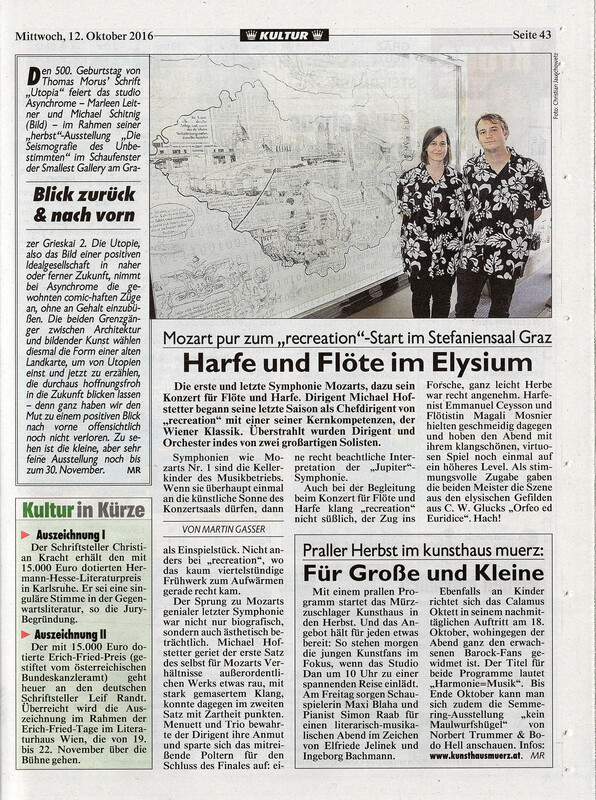 studio ASYNCHROME´s CMRK / steirischer herbst Austellungsbeitrag im <rotor> Zentrum für Zeitgenössische Kunst ist in der der Kleinen Zeitung vom 19.12.2016 erschienen. 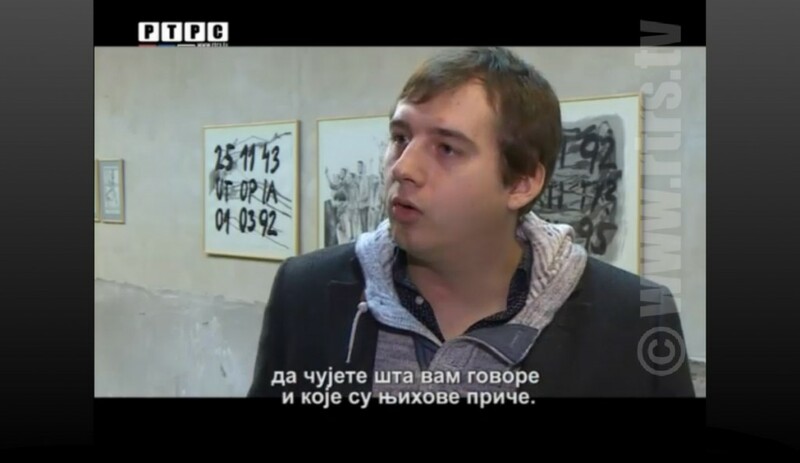 studio ASYNCHROME in RTRS TV Banja Luka ! 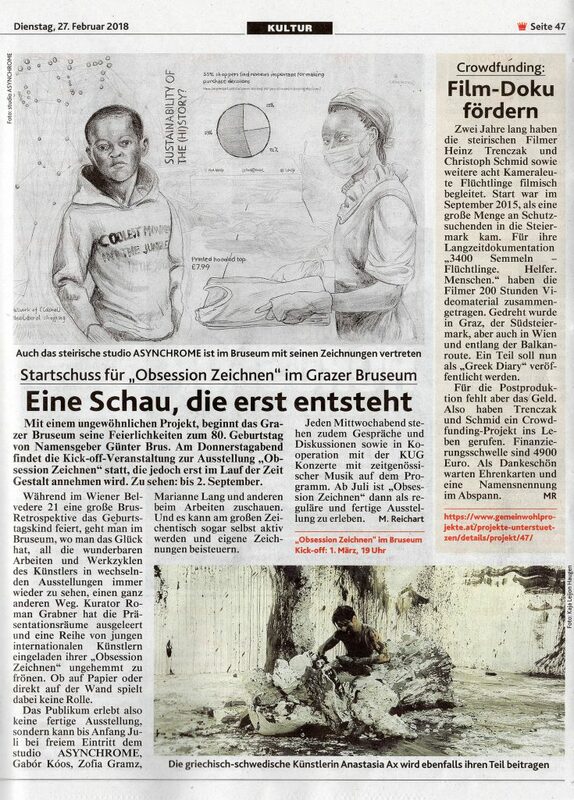 Report starts at 18:20.
studio ASYNCHROME at `rotor cener for contemporary art` exhibition „NEW GRAZ“ in the context of steirischer herbst 2016. 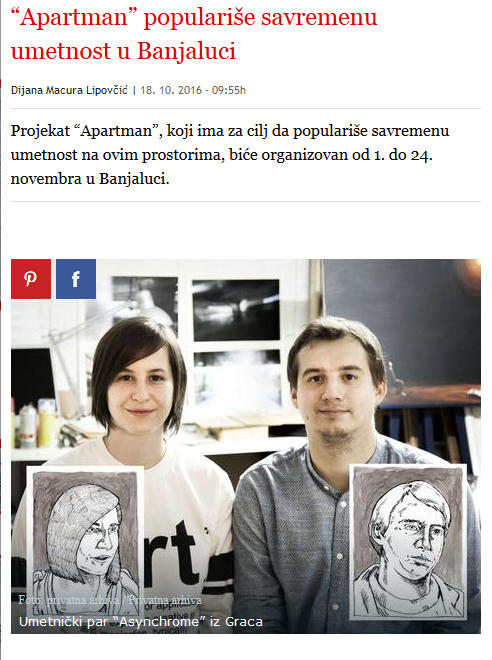 ASYNCHROME´s work @ 0:44. 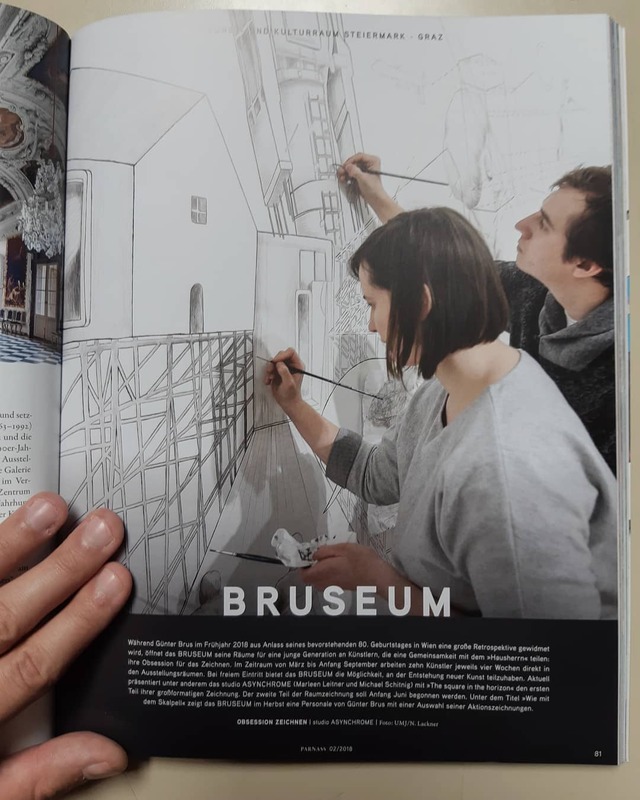 We are glad to announce, that parts of our work and the exhibition in the Nationalmuseum of Oslo are internationally reviewed! 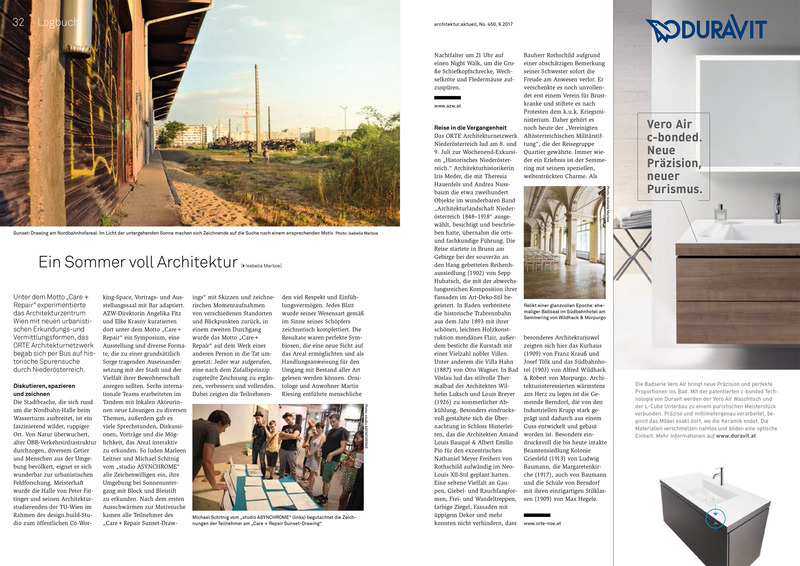 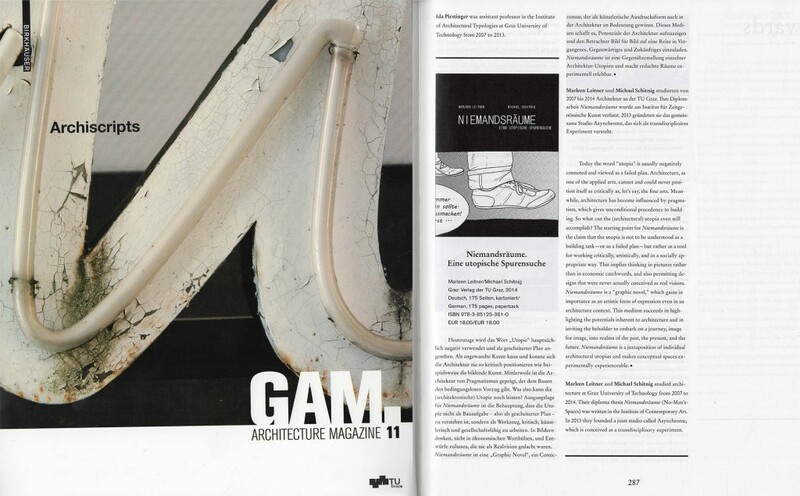 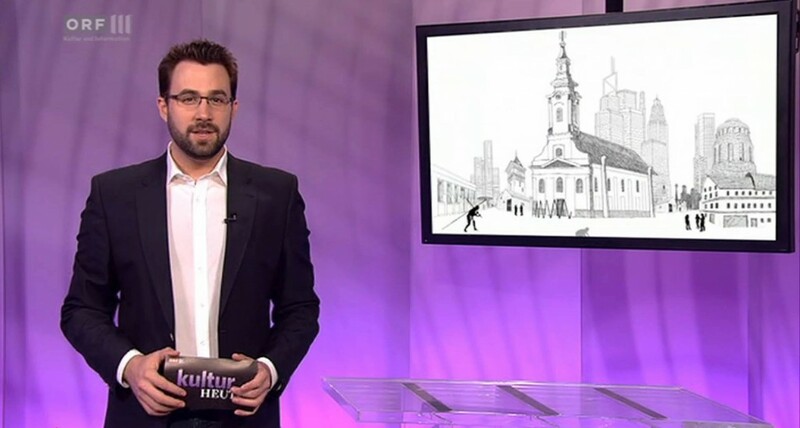 Kultur-Heute_ORF III Beitrag vom 11.08.2015 über das Architekturfilmfest des AZW, wonderland, frame out im Museumsquartier Wien. 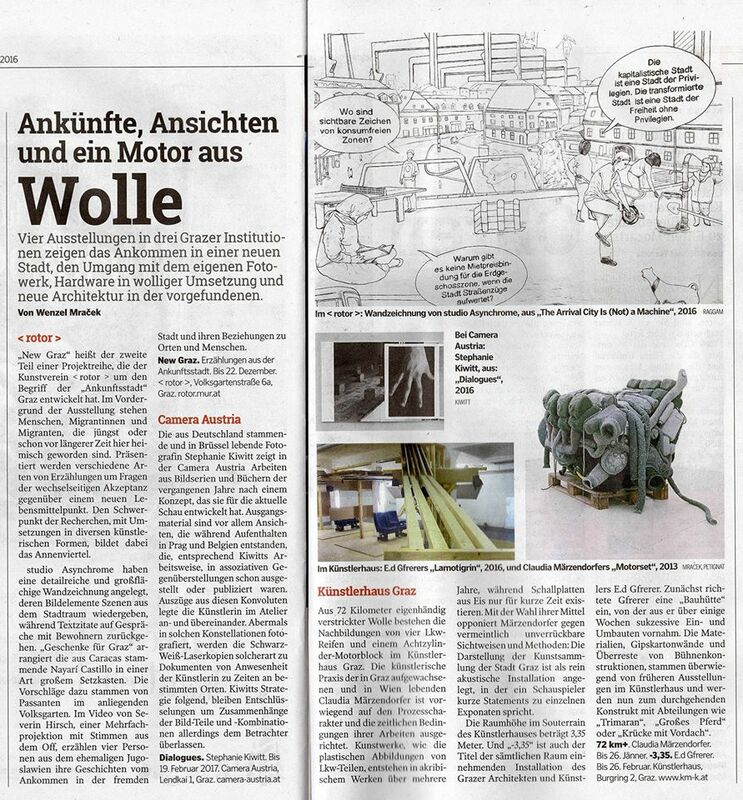 Mit Auszügen des „Weltbaumeisters“. 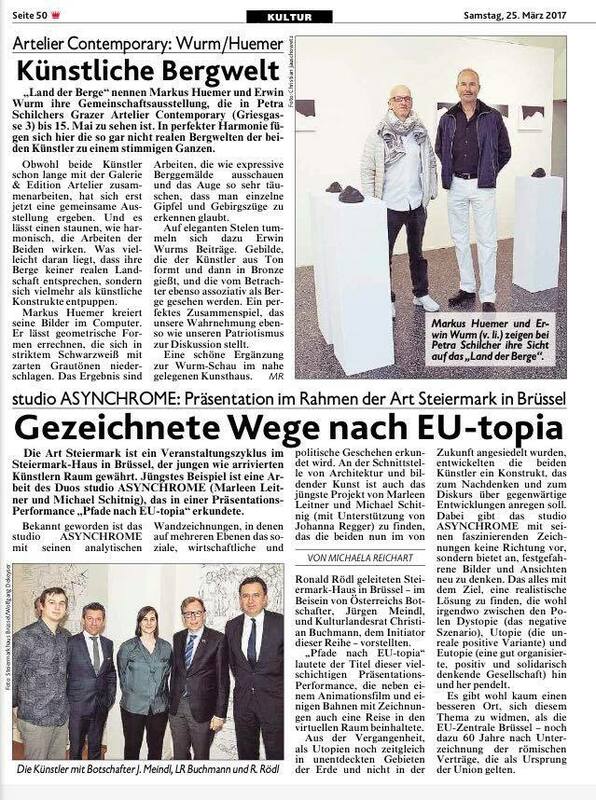 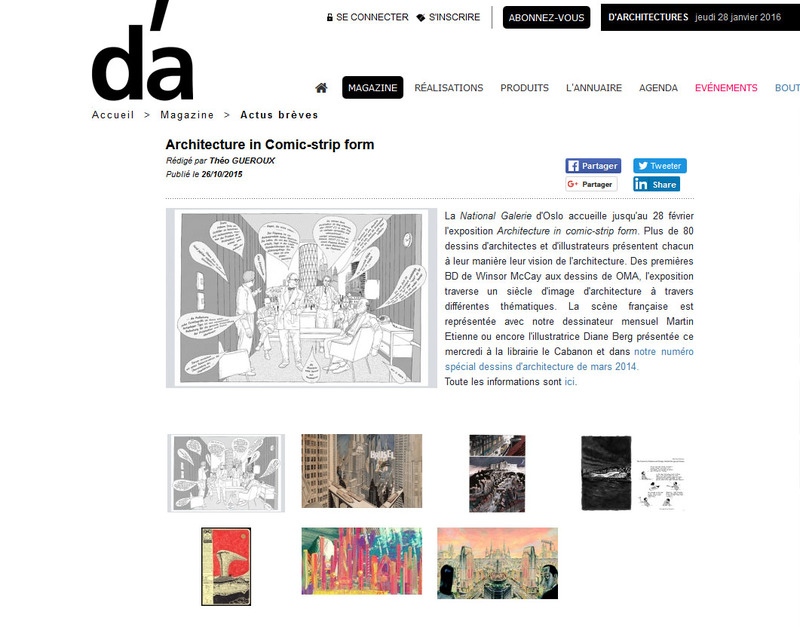 studio ASYNCHROME is selected as one of 4 international artists for the virtual diary “Randnotizen” of the “steirischer herbst 2015″.